To upgrade to WP Simple Pay Pro from the Lite version, you’ll first need to purchase the license best for your needs. Next, login to your WordPress admin. 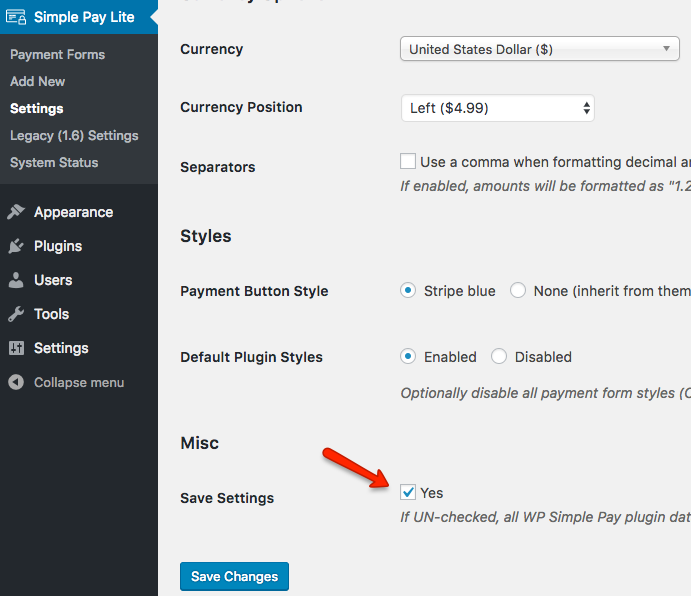 Go to Simple Pay Lite, then Settings, then click on the General tab. Scroll down to Save Settings, make sure it is checked, then click Save Changes. Next, click on Plugins → Installed Plugins, find WP Simple Pay Lite, then click Deactivate. Now scroll back down and click Delete on the deactivated plugin. You’ll be asked to confirm the deletion as well. Now you’re all set to install WP Simple Pay Pro!